Guardianship and Conservatorship Under Virginia Law - Reed Law Firm, P.L.L.C. A guardianship or conservatorship is a legal relationship established after a court determines that a person is incapacitated. After making such a finding, the court appoints an individual who will act as a decision maker to meet the needs and protect the rights of the incapacitated person. 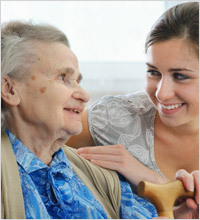 The attorneys at the Reed Law Firm stand ready and able to assist you with any guardianship or conservatorship matter. Our office is conveniently located in Manassas, Virginia and our lawyers regularly practice in Prince William, Fairfax, Stafford, Loudoun and Fauquier. The following material is intended to answer basic questions you may have about establishing a guardianship or conservatorship. Your attorney can assist you with more complicated questions. We look forward to helping you navigate the process when you are ready to proceed. The terms guardian and conservator are legally distinct. Whereas a guardian is an individual appointed by the court to bear responsibility for the personal affairs of the incapacitated person, a conservator is appointed to manage the estate and financial affairs of the incapacitated person. While one person may serve as guardian and conservator, this need not always be the case. What Does The Term “Incapacitated” Mean? (ii) manage property or financial affairs or provide for his support or for the support of his legal dependents without the assistance or protection of a conservator. A finding that the individual displays poor judgment alone shall not be considered sufficient evidence that the individual is an incapacitated person within the meaning of this definition. All attempts to establish a guardianship or conservatorship in Virginia commence with the filing of a petition in the Circuit Court serving the jurisdiction wherein the proposed incapacitated person resides. The petition includes a report on the conditions and circumstances of the proposed incapacitated person, including medical diagnosis and an analysis of the person’s functional capabilities. A licensed physician or psychologist must make these assessments. Following the filing of the petition, the proposed incapacitated person must be given proper notice that a guardianship petition has been filed. The court will also appoint an attorney to represent the interests and rights of the proposed incapacitated individual called a Guardian Ad Litem. The Guardian Ad Litem advises the proposed incapacitated person and prepares and presents an independent report to the court as to the need for and fitness of the proposed guardian or conservator. After all procedural requirements have been met, a court hearing is held. If the court finds that the person is incapacitated, the court will appoint a guardian and/or conservator, as appropriate. The court order must specify and define the powers and authority of the guardian and/or conservator, and the court may limit such authority when the individual has some capability of attending to his or her own interest in some areas. Who Can Serve As A Guardian Or Conservator? Typically, the individual filing the petition for guardianship or conservatorship is appointed as guardian or conservator. This person is usually a family member or friend. The guardian or conservator must be at least 18 years old, and capable of performing the duties involved. The guardian or conservator is not required to be a resident of Commonwealth of Virginia. Serving as a guardian or conservator is a demanding position. The person appointed is responsible for carrying out the powers granted in the court order. In addition, Virginia law stipulates a number of mandatory reporting requirements. These reports include annual financial accounting, as well as an annual, detailed report on the living conditions of the incapacitated person. The guardian or conservator is a fiduciary of the incapacitated person. They are obligated to protect the individual’s rights and welfare; health and medical needs; and property and financial position. A fiduciary must not act out of convenience or self-interest but always in the interest of the incapacitated person. A guardianship or conservatorship is typically a matter of last resort for the person filing the petition. However, it should be understood that certain consequences come with the decision to proceed with an action for guardianship or conservatorship. The following are the possible disadvantages or consequences. A guardianship and/or conservatorship terminates and denies the incapacitated person certain fundamental rights of self-determination. The legal proceedings can be time-consuming and financial burdensome. Costs may include court filing fees, bills for physicians and attorneys, and other expenses. The court is not bound to appoint the person who filed the action to appoint a guardian or conservator. You may not agree with the court’s selection and may not have the ultimate say on the matter. A guardianship and or conservatorship may be avoided if the incapacitated person has already executed a Durable Power of Attorney for both financial and health care decision making. To assure that it will be upheld if challenged, the Durable Power of Attorney must be executed before the person becomes incapacitated. Under this scheme the person gets to pick who he or she wants as a substitute decision maker instead of the court. In addition, drafting this document is relatively inexpensive and not time consuming to draft assuming the person’s estate is not of great complexity. If the incapacitated person dies, the guardianship or conservatorship automatically ends. The incapacitated person can petition the Circuit Court to restore his or her legal capacity. A new hearing will be held, and the court will determine if the person has substantially regained the ability to care for his or her own person and/or his or her own estate and financial affairs. A guardianship or conservatorship may be established on a temporary basis, with a specified time limit. When this period has passed the guardianship or conservatorship automatically terminates. Initiating an action to have a guardian or conservator appointed can be complicated and time consuming. The attorneys at the Reed Law Firm stand ready and able to assist you with any guardianship or conservatorship matter. Please contact us to schedule a consultation today.